Innovative technologies for steep incline and vertical conveying in the mining sector - What are the factors for success? State of the art technology – this is truck transport! What are the reasons for non – using saving potentials? What are the new arguments today? Where are the best chances for projects? What can be done for better success in the future? A new technology for steep incline high capacity open pit conveying. Implementation of industrial safety technologies at coal, ore and potash mining enterprises. Geomechanical numerical modelling – sophisticated solution for ensuring the stability of underground mine workings and constructions. The complexities of strategy optimisation to satisfy multiple goals and stakeholder expectations. Meeting the objectives by mine planning. Establishing a geotechnical service at an open pit mine: what is required. Review of the key sources of growth in the Russian mining sector: Science, Technology, Capital and Government regulation. Transformations of the interaction between the state and businesses in the face of declining revenues. Commodity markets outlook for 2017-18: are we at the bottom or at the peak prices? Economic equilibrium – should we expect the new “Black Swan” events and when? Accessing the prospects of continuing impact of rouble devaluation on reducing costs and improving investment attractiveness of the Russian mining businesses. What are the sources of new money in the Russian mining industry? Government support in the sphere of subsoil use: what support the subsoil users expect and that support the authorities are ready to offer? Modernisation and re-equipment: how to spend to save the money? Exploration in Russia: Who funds it? Who develops? How the money is spent? 12:30 - Development of recovery technology for complex gold-bearing ores. New incentives and powers enabling local governments to stimulate mining projects. Mechanisms to support investment projects at the territories of priority development. Developing investment projects. The win-win stories. Practical aspects of preparation and support of investment projects proposed for implementation at the territories of priority development. Infrastructure, energy and communications development – benefits and opportunities of private public partnerships. Business and Regional Government – creating win-win partnerships. 11:45 - New mechanisms for supporting investors in the Far East. 12:15 - Mineral resources as the basis for regional development. 12:45 - Prospects of gold exploration in Magadan region - the upcoming major gold mining cluster in Russia. 15:30 - Pavlik Gold - optimising project development strategy to optimise the business. Experiences of “first come – first served” practices Russian mining sector. New procedures for revocation of licenses from companies that do not fulfil obligations. Accessing state-owned geological information – current provisions and planed changes. A new system of classification of resources and reserves of minerals in Russia – introduction of the “one window” concept in subsoil use practice. Review of de-offshorisation practices and current tax initiatives. Amendments to the law “On Subsoil” on the accompanied extraction of minerals. Practical implications of the amended legislation on complex mineral deposits in Russia. Amendments in the law “On Subsoil” on developing mines classified under “federal importance” status. 15:00 - The experience of the of "first come - first served" practice in the Russian mining industry. 15:15 - Some issues of improving governance of subsoil funds. 15:30 - The draft of a new Mineral Resources Code: waiting for systemic changes in a State Expertise and approval procedures. 15:45 - Metal Streaming Agreements: Is There a Future for them in Russia? 16:00 - Tax incentives for subsoil users: myth or reality? 16:15 - Review of de-offshorisation practices and current tax initiatives. Reducing transport costs for open pit mines – technological and implementation challenges. Accident preventing fleet management solutions. Automation of the mine transport processes. Remote control of the underground transportation systems. Robotisation of mine transportation systems – technical challenges. Conveyor – an alternative to truck fleet? 17:15 - A new technology for steep incline high capacity open pit conveying. 17:30 - Addressing transport issues - the possibility for large-scale cost-cutting. 17:45 - Security aspects in organisation of the mining transport movements at open pit mines. 18:00 - Optimisation of mining transport and its impact on the functioning of a mine in conditions of global crisis in the mining industry. The Eurasian Economic space – opportunities for developing cross-border trade and investment in the mining sector. Mining regulation – what the EEU member states can learn from each other? Reserves and resources evaluation systems – opportunities for creating common EEU standard. Developing cross border investment projects: opportunities and advantages for miners. Financing mining projects in the EEU member states: who currently supports them? What are the opportunities for creating the Eurasian Capital Market platform for mining? Developing a single market supply chain standard for mining machinery, equipment and services in the EEU member states. 09:00 - Current Formats of International Cooperation in Mining. 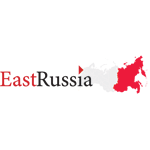 09:40 - Financing mining projects in the EEU member states. 09:55 - Investment System "Voskhod" as a way to invest in the Far East. 10:05 - The experience of implementation of the crude hydrocarbons' stores and main aspects in the classification in	solid commercial minerals. 10:20 - The development of information systems in geology. Availability of geological information. 10:45 - Mining Industry 2016: Light at the End of the Tunnel? Unified management systems for improving to productivity and efficiency. New projects: how to build on time and on budget? A mine without borders: managing cross-border mining projects. Supplying and servicing mining enterprises – balancing costs and delivery terms. Building mining project – managing multiple suppliers and contractors. Integrating mine design solutions at the planning stage. Outsourcing – benefits and wider implementation opportunities. Modular approach to mine construction and modernisation. Using spare capacity – improving efficiency. 11:30 - New projects: how to build on time and within budget? 12:00 - Mine building and commissioning. Responsibility and risks. 12:15 - Introduction and development of geological information systems at Polymetal. Evolving digital systems for geological data collection and analysis – examples and cases. Use of automated reserves and resources evaluation systems in Russia. Aerogeophysics and geochemistry – the possibilities and limits of use. The core – the art of deciphering. Use of drones in geological exploration. Accuracy of laboratory tests – the basis for a reliable model of the deposit. “Blind” exploration – making discoveries with a minimum cost. 11:30 - The issues of inconsistency of geological information and reserves reporting. Risks and solutions. 11:45 - Mineral exploration optimization and acceleration using modern airborne electromagnetic technologies. World experience. 12:30 - Meeting regulatory requirements for provision of geological information. 13:00 - Latest developments in inversion and interpretation of airborne electromagnetic data. Extraction of Cole-Cole parameters from TDEM for mineral exploration. The future of mining industry – key change drivers to watch. Digitalisation of production: where to start? Using software products from different vendors: how to ensure they “understand” each other? ISA-95 – a unified industry standard for data transfer and integrating production processes. Systemic approach to Big Data transfer and evaluation. Real time data control and management in mining – new technologies and opportunities. Underground mine internetisation – technical challenges and solutions. Safe mine – accident preventing digital technologies and solutions. Automations and robotisation of mining processes – technical, financial and social aspects. 14:30 - Automations and robotisation of mining processes – technical, financial and social aspects. 14:45 - Managing mining information effectively. 15:15 - Development of information systems for mining companies - approaches, opportunities and possible issues. 15:30 - The use of monitoring systems of the underground transport and personnel to enhance effectiveness of planning, calculation and optimisation of mining enterprises. • Building self-sufficiency in the Russian mining sector – prospects, benefits, limitations. • Russia’s claim to end imports of REMs by 2020 and to become producer. Challenges and projections. • Evaluation of the resource base and the development of rare-earth metals in Russia. • Is it possible to profitably produce rare-earth metals in Russia, while China sells? • Demand projection for REM in Russia’s hi-tech industry. 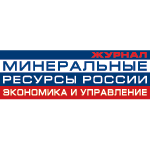 • The new rare earth projects in Russia – technological challenges. • Enrichment of ideas – what will make Russian industry REM efficient and competitive? The role of science and technologies. What has changed over the last decade? What key scientific discoveries and technologies will determine mining development? Who drives science and research in the Russian mining sector? Optimisation – cadres are the key to everything! Transforming scientific discoveries into technological innovation – science in its own right. State mechanisms and programmes to support R & D.
Making mining safer and more sustainable by harnessing fast-developing technologies and practices from different sectors. Sources of funding mining science and research – new collaboration opportunities. Innovative solutions. How to determine their commercial value? Evolving new materials – impact on future demand and supply.